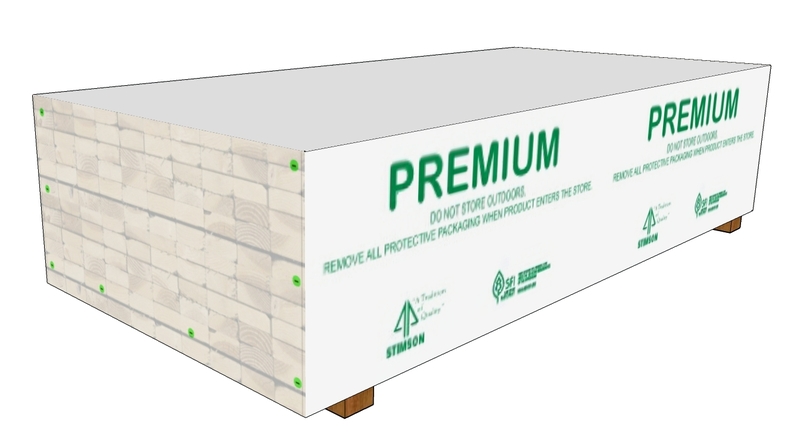 A relatively new product to the market is the clear end lumber covers produced at Flexpak. This is an excellent product for those customers seeking a clear view of the lumber or wood product while maintaining the protective aspects provided in standard lumber covers. The transparent end panels allows for both the product recognition in a sawmill yard and ease of identification for the receiving consumers. A clear end on a lumber cover allows for barcode scanning of products, and this promotes simplicity with inventory tracking of piece items within the cover. 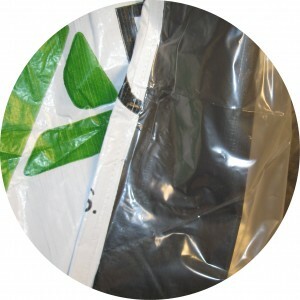 The clear ends can be manufactured with clear woven plastic or with clear poly sheeting. Differences in clear plastic choices should be discussed with the sales department at Flexpak. While the clear ends allow product visibility, the subsequent cover design is made from standard lumber cover material. Coated woven polyethylene, this material maintains the protective properties found in standard lumber covers. The clear end lumber covers can be printed or plain. There can be different prints for the white/black sides as well as the clear end panel on the cover. Give great visibility to your lumber and wood products while maintaining the protection needed in the post-production environment! Please feel free to contact Flexpak at any point to discuss clear end lumber covers as a packaging solution for your product.